This is called a baguette slice because I just had a section of the whole baguette for my lunch. 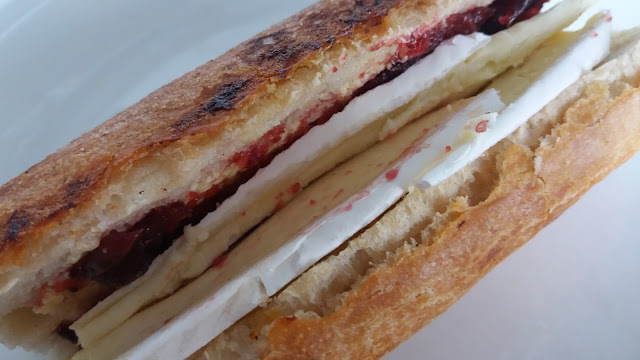 Brie and cranberry is a classic combination. There are no hidden secrets about making this; just assemble and enjoy! Cut a section of the size you require from a baguette or French stick. Cut this almost in half lengthways. Spread each side with butter or spread. Spread one side with cranberry sauce. Cut slices of brie and place inside.